Pollution from untreated sewage and wastewater is a significant problem in the Cannon River watershed and throughout Southeast Minnesota. There are many small homes and small communities that still discharge untreated sewage directly into our waterways!? That’s where CRWP comes in; we assist community members to explore options, pursue funding, navigate local and state rules, and we offer low interest loans to help keep projects moving forward. 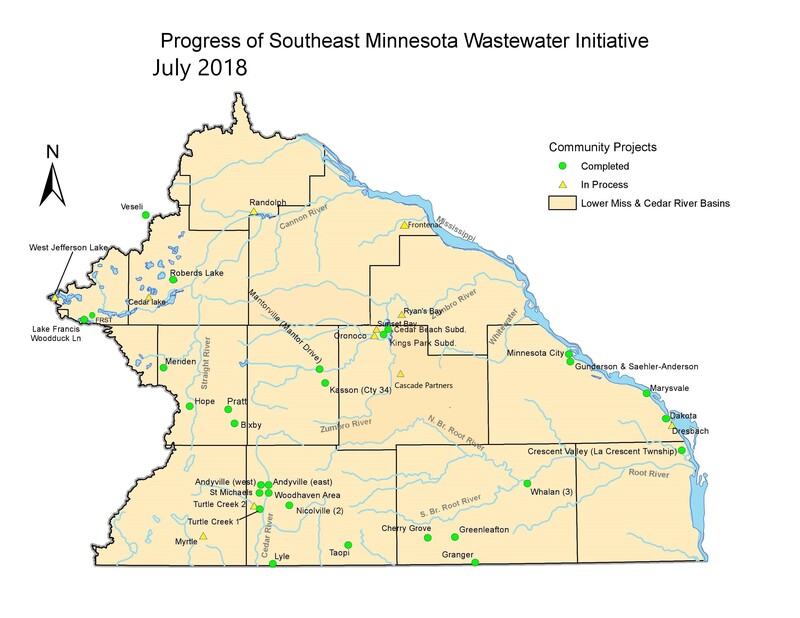 CRWP’s award winning Southeast Minnesota Wastewater Initiative program is a regional effort throughout Southeast Minnesota to assist small communities in improving their sewage treatment. 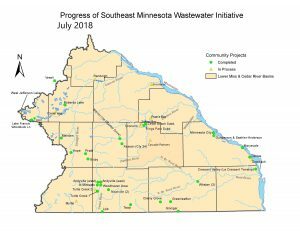 The Wastewater Initiative is a partnership between CRWP, Southeast Minnesota Water Resources Board, and the Minnesota Pollution Control Agency. Since 2002, the Initiative has helped 31 small communities upgrade their sewer systems, eliminating 454,090 gallons of untreated sewage per day (more than 165 million gallons per year!) from entering the lakes, streams, and rivers of Southeast Minnesota.